(2012.201.B0301B.0478, Oklahoma Publishing Company Photography Collection, OHS). The town of Calvin is located eighteen miles southeast of Holdenville and west of the junction of U.S. Highway 75/270 with State Highway 1/48 in Hughes County. Calvin was first known as Riverview for its location on the south bank of the Canadian River. The Choctaw, Oklahoma and Gulf Railroad (later part of the Chicago, Rock Island and Pacific line) built its McAlester–Oklahoma City line through the Choctaw Nation, Indian Territory, in 1895 near Riverview. A post office was established on March 21, 1895, with John Walburn as postmaster. The town's name was changed to Calvin in June 1895 by town founder, trader, and banker J. W. Hundley, as at the time of its founding the town was sited on land Choctaw allottee Calvin Perry. The Choctaw Nation Townsite Commission surveyed the site into 350 lots for sale. A fire circa 1904 destroyed the Masonic lodge and several business buildings along Canadian Street, the main thoroughfare. Brick buildings replaced the earlier structures, and the town's 1905 population hovered at three hundred. From 1900 to 1930 Calvin was a busy, thriving railroad and trade center. Farm products included cotton, corn, and hogs. The Missouri, Oklahoma and Gulf Railroad (later part of the Kansas, Oklahoma and Gulf system) constructed a line through the area, reaching Calvin in 1909. By that time the growing town offered the surrounding agricultural community a choice of four cotton gins, eight general stores, two hotels, and numerous other businesses typical of the era. 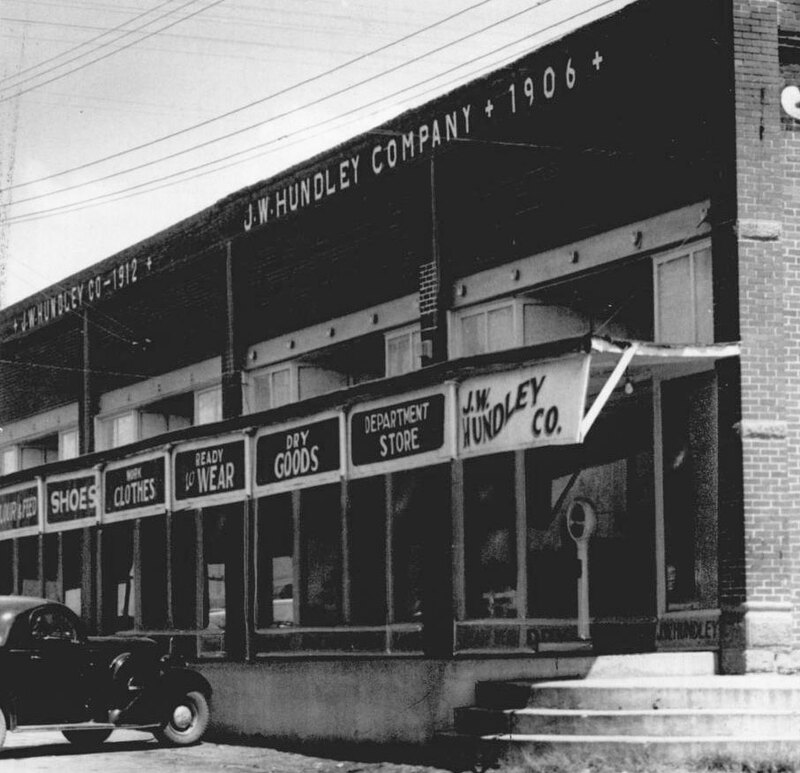 In 1906 J. W. Hundley established a store and in 1907 erected a building, the largest mercantile establishment in Hughes County. A ferry operating across the Canadian River gave access to Calvin's cotton market and railroad connections. Over the decades the citizens learned local, state, and national news from the Calvin/Hughes County Enterprise, the Calvin News, and the Calvin Chronicle. Cattle and hogs remained the bedrock of the local economy, and peanuts and a peanut-processing plant also provided a major source of income and employment. The now-defunct Calvin Pickle Company served as a curing station for cucumber pickle processors in Alabama and Texas. Community pride remained evident, with Calvin winning third place in the 1960 Oklahoma Community Achievement contest for towns of less than 1,000 population. In 1956 residents voted $55,000 in bonds for a well, storage tower, and water lines, providing the town's first municipal water system, and in 2000 Calvin received grants to construct new water facilities. Calvin's population in 1910 stood at 570; it peaked at 700 in 1920 and declined steadily over several decades, reaching 315 in 1980 and 251 in 1990 but rebounding to 279 in the 2000 census. The 2010 census counted 294 residents. Calvin (Oklahoma) Enterprise, December 1904–December 1907. "Calvin," Vertical File, Research Division, Oklahoma Historical Society, Oklahoma City. Sanborn Fire Insurance Maps, Calvin, Oklahoma, 1898–1926. Fran Cook and Spencer P. Petete, "Calvin," The Encyclopedia of Oklahoma History and Culture, https://www.okhistory.org/publications/enc/entry.php?entry=CA016.